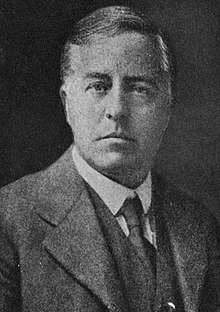 Sir James Hopwood Jeans OM FRS (11 September 1877 – 16 September 1946) was an English physicist, astronomer and mathematician. Early in the Michaelmas term of 1896, Walker sent for Jeans and Hardy and advised them to take Part I of the Mathematical Tripos in two years. He told them that he could not guarantee that they would come out higher than fifteenth in the list of wranglers, but he understood that they would never regret it. They accepted his advice, and went to R. R. Webb, the most famous private coach of the period...At the end of his first year, [Jeans] told Walker that he had quarrelled with Webb, his coach. Walker accordingly took Jeans himself, and the result was a triumph:...Jeans was bracketed second wrangler with J. F. Cameron...[and] R.W.H.T. Hudson was Senior Wrangler and G. H. Hardy fourth wrangler. Jeans was elected Fellow of Trinity College in October 1901, and taught at Cambridge, but went to Princeton University in 1904 as a professor of applied mathematics. He returned to Cambridge in 1910. He made important contributions in many areas of physics, including quantum theory, the theory of radiation and stellar evolution. His analysis of rotating bodies led him to conclude that Laplace's theory that the solar system formed from a single cloud of gas was incorrect, proposing instead that the planets condensed from material drawn out of the sun by a hypothetical catastrophic near-collision with a passing star. This theory is not accepted today. Jeans, along with Arthur Eddington, is a founder of British cosmology. In 1928, Jeans was the first to conjecture a steady state cosmology based on a hypothesized continuous creation of matter in the universe. In his book Astronomy and Cosmology (1928) he stated: "The type of conjecture which presents itself, somewhat insistently, is that the centers of the nebulae are of the nature 'singular points' at which matter is poured into our universe from some other, and entirely extraneous spatial dimension, so that, to a denizen of our universe, they appear as points at which matter is being continually created." This theory fell out of favour when the 1965 discovery of the cosmic microwave background was widely interpreted as the tell-tale signature of the Big Bang. His scientific reputation is grounded in the monographs The Dynamical Theory of Gases (1904), Theoretical Mechanics (1906), and Mathematical Theory of Electricity and Magnetism (1908). After retiring in 1929, he wrote a number of books for the lay public, including The Stars in Their Courses (1931), The Universe Around Us, Through Space and Time (1934), The New Background of Science (1933), and The Mysterious Universe. These books made Jeans fairly well known as an expositor of the revolutionary scientific discoveries of his day, especially in relativity and physical cosmology. In 1939, the Journal of the British Astronomical Association reported that Jeans was going to stand as a candidate for parliament for the Cambridge University constituency. The election, expected to take place in 1939 or 1940 did not take place until 1945, and without his involvement. He also wrote the book "Physics and Philosophy" (1943) where he explores the different views on reality from two different perspectives: science and philosophy. On his religious views, Jeans was an agnostic Freemason. Jeans married twice, first to the American poet Charlotte Tiffany Mitchell in 1907,, and then to the Austrian organist and harpsichordist Suzanne Hock (better known as Susi Jeans) in 1935. At Merchant Taylors' School there is a James Jeans Academic Scholarship for the candidate in the entrance exams who displays outstanding results across the spectrum of subjects, notably in mathematics and the sciences. One of Jeans' major discoveries, named Jeans length, is a critical radius of an interstellar cloud in space. It depends on the temperature, and density of the cloud, and the mass of the particles composing the cloud. A cloud that is smaller than its Jeans length will not have sufficient gravity to overcome the repulsive gas pressure forces and condense to form a star, whereas a cloud that is larger than its Jeans length will collapse. Jeans came up with another version of this equation, called Jeans mass or Jeans instability, that solves for the critical mass a cloud must attain before being able to collapse. Jeans also helped to discover the Rayleigh–Jeans law, which relates the energy density of black-body radiation to the temperature of the emission source. Jeans is also credited with calculating the rate of atmospheric escape from a planet due to kinetic energy of the gas molecules, a process known as Jeans Escape. Bakerian Lecture to Royal Society in 1917. Royal Medal of the Royal Society in 1919. Hopkins Prize of the Cambridge Philosophical Society 1921–1924. Gold Medal of the Royal Astronomical Society in 1922. He was knighted in 1928. Franklin Medal of the Franklin Institute in 1931. In 1933 Hopwood-Jeans was invited to deliver the Royal Institution Christmas Lecture on Through Space and Time. Mukerjee Medal of the Indian Association for the Cultivation of Science in 1937. President of the 25th session of the Indian Science Congress in 1938. Calcutta Medal of the Indian Science Congress Association in 1938. Member of the Order of Merit in 1939. The crater Jeans on the Moon is named after him, as is the crater Jeans on Mars. The String Quartet No.7 by Robert Simpson was written in tribute to him on the centenary of his birth, 1977. The Growth of Physical Science. Cambridge University Press. 2009 . ISBN 978-1-108-00565-4. Physics and Philosophy. Courier Corporation. 1981 . ISBN 978-0-486-24117-3. An Introduction to the Kinetic Theory of Gases. CUP Archive. 1982 . ISBN 978-0-521-09232-6. Science and Music. Cambridge University Press. 2009 . ISBN 978-1-108-00569-2. Through Space and Time. Cambridge University Press. 2009 . ISBN 978-1-108-00571-5. The New Background of Science. CUP Archive. 1953 . GGKEY:HCUUR8F8EL0. Stars in Their Courses. Cambridge University Press. 2009 . ISBN 978-1-108-00570-8. The Mysterious Universe. CUP Archive. 1944 . GGKEY:LXRDCH5GSZR. Astronomy and Cosmogony. Cambridge University Press. 2009 . ISBN 978-0-521-74470-6. Mathematical Theory of Electricity and Magnetism. Cambridge University Press. 2009 . ISBN 978-1-108-00561-6. Atomicity and Quanta. Cambridge University Press. 2009 . ISBN 978-1-108-00563-0. Problems of Cosmology and Stellar Dynamics. Cambridge University Press. 2009 . ISBN 978-1-108-00568-5. The Dynamical Theory of Gases. CUP Archive. 1925 . GGKEY:6UDJTT06BSL. The Universe Around Us. Macmillan. 1929. ^ Milne, E. A. (1947). "James Hopwood Jeans. 1877-1946". Obituary Notices of Fellows of the Royal Society. 5 (15): 573–589. doi:10.1098/rsbm.1947.0019. ^ Milne 2013, p. 1. ^ Allport & Friskney 1987, p. 234. ^ "Jeans, James Hopwood (JNS896JH)". A Cambridge Alumni Database. University of Cambridge. ^ Milne 2013, pp. 4-5. ^ "University intelligence - Cambridge". The Times (36583). London. 11 October 1901. p. 4. ^ "University Intelligence - The New Trinity Fellows Cambridge". London Daily News. 11 October 1901. p. 3 col E. Retrieved 2016-06-27 – via British Newspaper Archive. (Subscription required (help)). ^ Jeans 1928, p. 360. ^ Reynosa, Peter (16 March 2016). "Why Isn't Edward P. Tryon A World-famous Physicist?". The Huffington Post. Retrieved 2016-06-27. ^ De Chardin 2004, p. 212. ^ Bell 1986, p. xvii. ^ O'Connor, John J.; Robertson, Edmund F., "James Hopwood Jeans", MacTutor History of Mathematics archive, University of St Andrews . ^ Jeans 1944, p. 137. ^ Jeans 1981, p. 216. ^ Jeans 1929, p. 317. Allport, Denison Howard; Friskney, Norman J (1987). A Short History of Wilson's School. Wilson's School Charitable Trust. Milne, E. A. (2013) . Sir James Jeans: A Biography. Cambridge University Press. ISBN 978-1-107-62333-0.